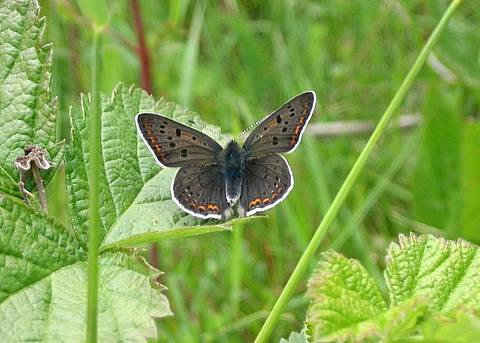 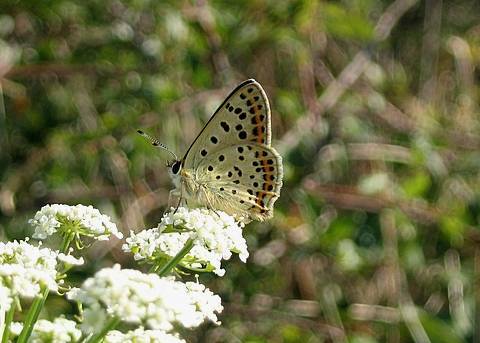 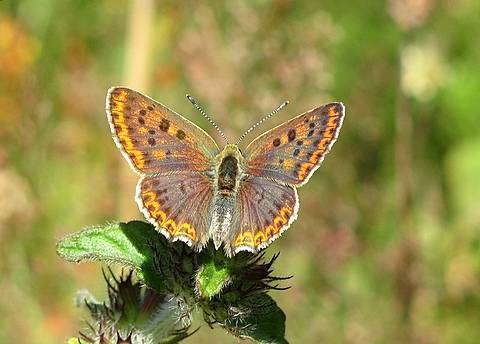 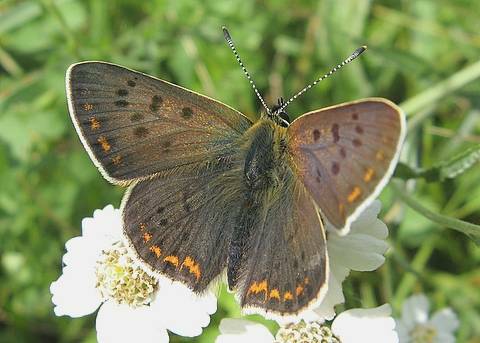 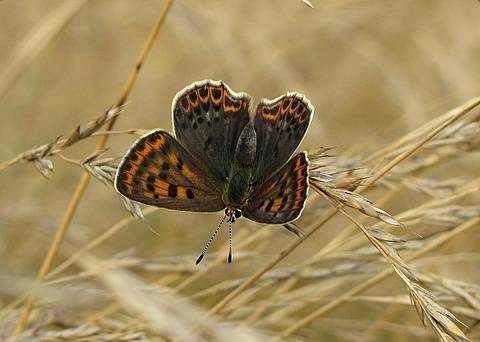 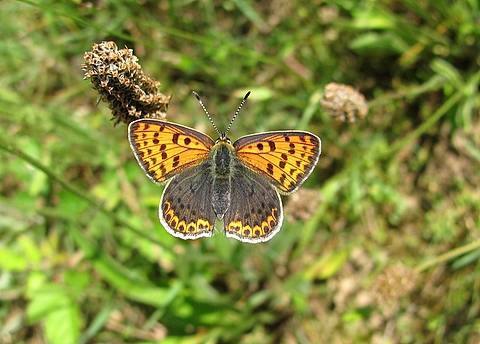 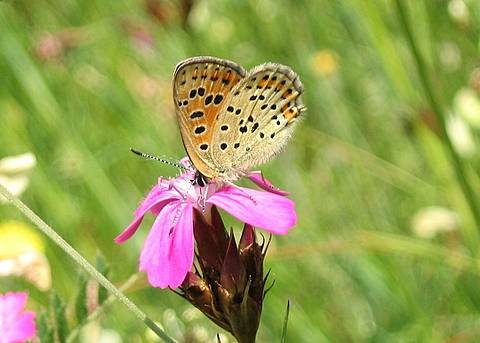 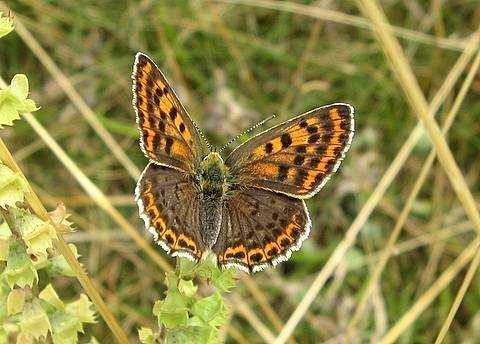 The Sooty Copper is basically a common butterfly in continental Europe though not as uniformly ubiquitous as the Small Copper. 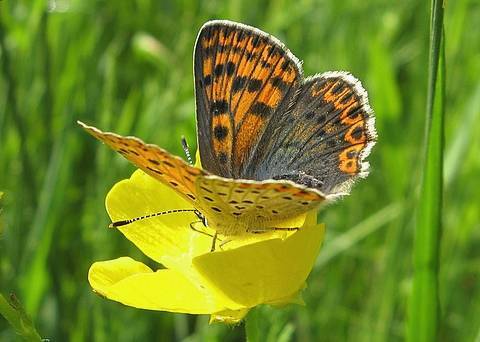 It tends to prefer open, flowery meadows and clearings. 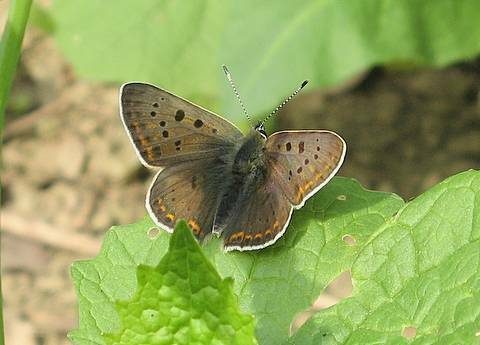 The male upperside is all brown with black spots and some more or less well developed submarginal orange lunules. 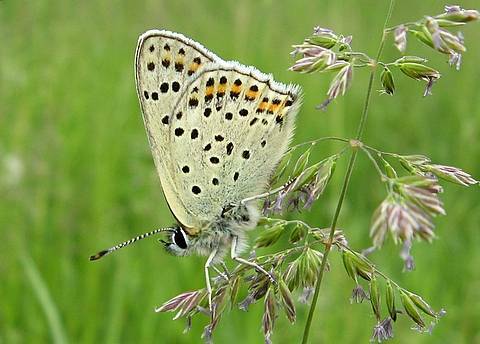 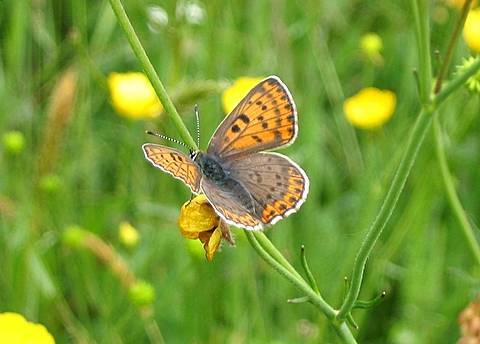 There may also be some blue spots above the orange lunules on the hindwings as in the blue form caeruleopunctata of the Small Copper. 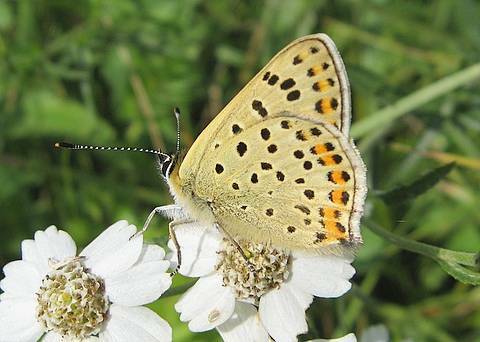 The female has an orange ground colour to the forewings though this may be significantly toned down in some individuals. 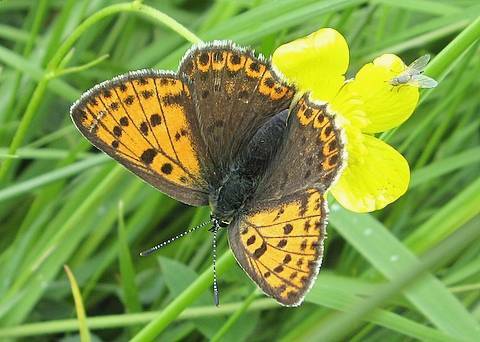 The undersides have a rather yellowy feel to them with an orange flush on the forewing of the female.